This thread is for all SEA RAY owners....to let everyone know who we are. Area where you do your boating.....and more. We have traveled from Greenport NY, to Amityville .. mainly stay in the Great South Bay..
Then we spent a few years on the Hudson River. Now "we" are in retirement enjoying the boating paradise of the the U.S., SE Florida. Boat was originally purchased with all the toys available in 89 except the can opener. She is mint and I am a "happy camper". Hudson River.. LI Sound.. NJ Shore..
310 DA "Smile & Wave II"
Mostly hang out in Zachs Bay. Sometimes Fire Island if gas isn't too $$$$. For our summer annual voyages we have been to Newport, Montauk, Block Island, Huntington, Cos Cob, Shelter Island, Sag Harbor, and Red Bank, NJ. Where ever we decide to go..
sea ray 390my homeport lindenhurst,cruise to southern nj and the chesapeaque,and block,and the peconic.leaving july 2 to the hudson and july 18 to the chesapeaque. Now boating in the Lower James River. 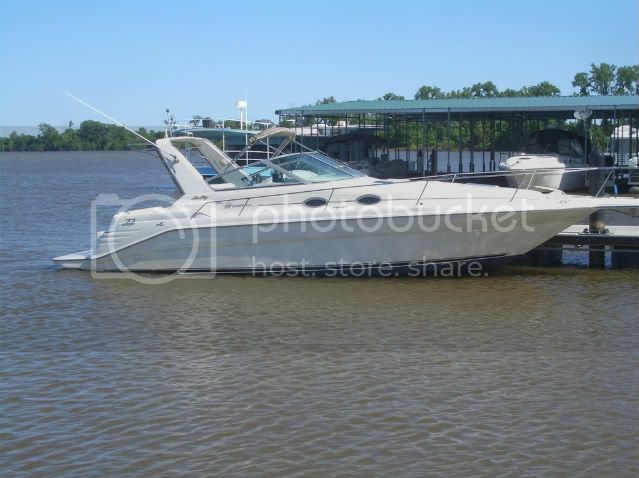 Moving to the Chickahominy River next month. Will be boating the Chick, to the lower Chesapeake. Avid weekend cruisers in the Chesapeake Bay. See you at Worton or Fairlee most weekends. Area where you do your boating.....and more. We boat in Northern Idaho, NW Montana, Eastern Washington and spend a week or two in the San Juans. We trailer our 300 DA so we don't know where we're going until we hit the first stop sign. Left or right? Priest Lake, Lake Pend Oreille, Columbia River or Snake River is where we can normally be found. Once in a while we'll risk life and limb and head to Couer d'Alene, but that's very rare. Day / Overnight cruising on Lake Washington, gearing up for some San Juan weekends this summer! North Shore, Long Island, NY. Family cruising: Port Jefferson Harbor area mostly, Oyster Bay, Black Rock CT, Essex CT. Fishing: Port Jefferson, Mount Misery shoals, Middle Ground, Crane Neck, Orient Point.